﻿Dave has been dedicated to the investment management business for over 25 years and has analyzed stocks across a wide variety of sizes and styles. Dave founded Areté in order to leverage his experience into a broader vision to re-imagine investment services. Driven by a mission of helping people get the most out of their investing activities, a conviction in the power of technology to facilitate improvement, and a belief that the "origin of wealth" is knowledge, Dave is constantly challenging antiquated assumptions and exploring better ways to do things. As financial assets (and the investment industry as a whole) begin to confront enormous change, Dave's capacity to see through day-to-day complexity, to understand the bigger picture, and to communicate insights effectively will become increasingly valuable. In order to leverage these strengths and to overcome an industry often constrained by inertia, Dave is always looking for like minds and new ways to work productively together. 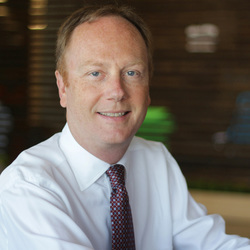 Dave's considerable experience includes managing the Ark mid cap fund at Allied Investment Advisers (prior to its acquisition by M&T Bank), analyzing and selecting over $3 billion worth of stocks across four strategies at Blackrock, and starting up a mid cap core institutional strategy at Credo Capital Management. Throughout his career, he has worked on large institutional portfolios as well as those of high net worth individuals. See Dave's profile on LinkedIn for more details. Dave's education and work experiences have combined to create a uniquely powerful perspective on the investment management industry. For example, he refined strong quantitative skills early in his career by working closely with a sophisticated discounted cash flow model that adjusted reported numbers to better reflect economic reality. This experience facilitated the inference of market expectations from prices and in doing so helped shape his skill set and investment philosophy. Further, with a liberal arts education, intense curiosity and fierce independence, Dave naturally assesses situations from many different perspectives and easily communicates his views. In addition, his background in philosophy has given him a strong intellectual foundation from which to think about and manage the process of creating knowledge and the combination of his math background and research on technology firms gives him a perspective from which to apply technology in very strategic ways. At Grinnell College, Dave majored in math with extensive studies in economics and philosophy. At Kellogg, Dave majored in finance, marketing, and international business while simultaneously completing the CFA program in the minimum of three years. Having worked his way through Grinnell College, the CFA program, and the evening program at Kellogg, Dave's personal experiences make him intimately familiar with the need to balance capital preservation with real market opportunities. Further, having been the beneficiary Grinnell's need-blind admission policy (which was facilitated by a healthy endowment), he is intimately aware of, and compelled by, the socially useful purposes that good investing can serve. Dave has served as president and co-chair of programs for the Baltimore CFA Society and served on the Investment Subcommittee for United Cerebral Palsy, Central Maryland (now Unified Community Connections) among a long list of volunteer activities. When he isn't busy with investing or managing Areté, Dave enjoys reading, outdoor recreation, and music. 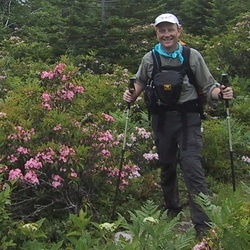 If you don't catch him out on the hiking trails, you might find him walking in or around Baltimore's Inner Harbor. Dave grew up in Cedar Rapids, Iowa and has lived in Baltimore since 2000. For more information, view Dave's profile on LinkedIn. The best way to learn more about Dave, however, is by talking with him. It usually doesn't take long for his academic background, industry expertise, intellectual curiosity, down to earth nature and ability to communicate to come across. Nor is there a better way to appreciate his unique views and perspectives. Fill out the form on the "Contact" page to schedule a conversation.